The search for a new head coach at Hearts took another twist yesterday, with the news that Billy Davies had followed Dougie Freedman and Steve McClaren in withdrawing from the race and that interim head coach Jon Daly will be in charge for Saturday’s trip to Motherwell. Davies released a statement saying that the club were not willing to change its “structure”, while Freedman has taken up a sporting director role at Crystal Palace and McClaren has joined Maccabi Tel Aviv as a consultant. 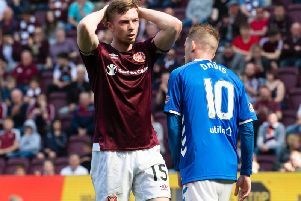 There’s a wide spectrum of views on Davies, Daly, chairwoman Ann Budge and director of football Craig Levein as we enter the 22nd day of Hearts’ hunt for a new boss.